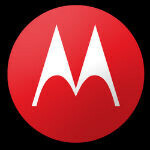 Google has been working on restructuring and downsizing Motorola Mobility for a while now. Google has cut the workforce, and has looked to sell off pieces of the company, while holding on to the mobile hardware and patents. Now, Google is shutting down the dedicated websites for Motorola Mobility in various regions around the world. According to the notice that pops up when you try to visit certain regional sites, the local support sites will remain intact. 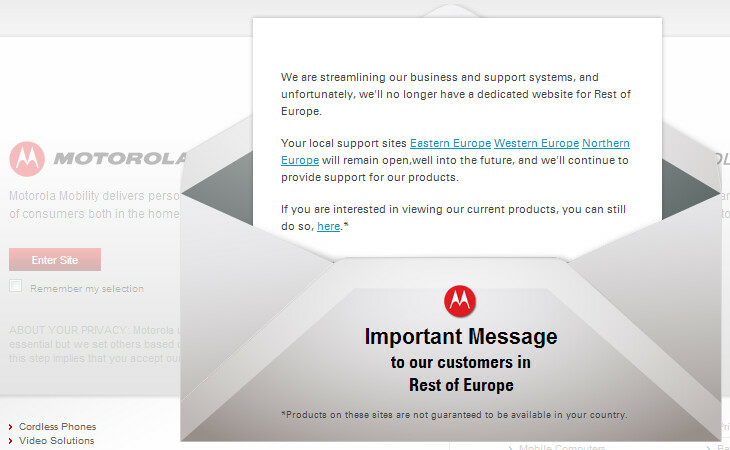 But, in an effort to "streamline" Motorola's business and support systems, the dedicated sites for Asia, Europe, the Middle East & Africa, Hong Kong, and Taiwan have all been shut down. So, now there will be a centralized website for Motorola, which may be better for Google and Motorola, but will be awkward for consumers. Because there won't be dedicated sites, it won't be clear what products are available in what regions. Instead, there will be an asterisk on products that aren't available worldwide. I like what they've done with Moto's new UI and the hardware on the latest phones is great, seems downsizing and focussing on the mid to high end and key markets may help. Which idiot sold Motorola's sole to Google? Then got canned afterwards. Lolzzz! Tegra 3? Really? A Moto-Nexus doesn't even have the chance to exist til next year, so why don't we aim for a Tegra 4 at least? ironically as i read this an xfinity X1 promo add runs on TV. and i have this thought: X1 is interactive TV on Xfinity. Xfinity= Comcast. Comcast boxes were once ALL Motorola google (which is working on google tv) now owns motorola which has experience making set top boxes. xfinity and comcast now has a partnership with verizion which is known to have close ties to motorola and motorola and google are now one. i say all that to say: google instead of shutting down the set top box sector of motorola mobility retain that division and merge it with google tv and refine that product so that you could have complete control (ala surface) and you can ensure that updates are regularly pushed out and there is seamless UX on the TV unlike on my Sony google tv. and since everyone that has xfinity or comcast requires a box googles ad sales and revenue would jump since there is a huge TV and Wireless subscriber base.